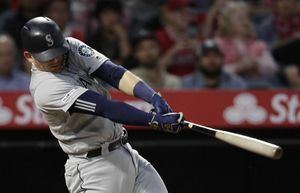 Mariners fans didn’t get to see much during a 5-0 loss to the Angels, but they did see history in the fifth inning when Albert Pujols slapped a line drive into right field for the 3,000th hit of his career. The first of 19 meetings between these American League rivals can’t really provide script of how the next 18 meetings will go. 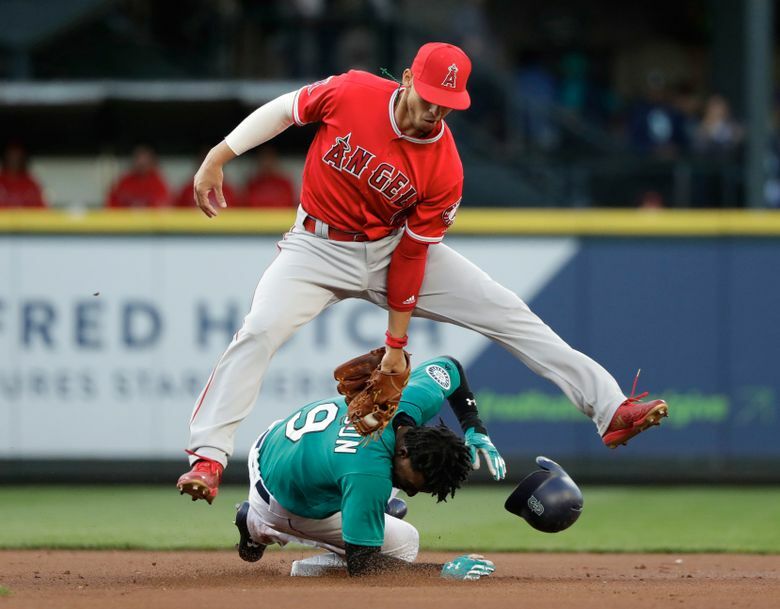 At least the Mariners hope that there is no foreshadowing of future outcomes after a forgettable showing in a 5-0 loss to the Angels on Friday night at Safeco Field. But the 41,705 fans in attendance did get something more memorable than a defeat and a Star Wars-themed Kyle Seager bobblehead. 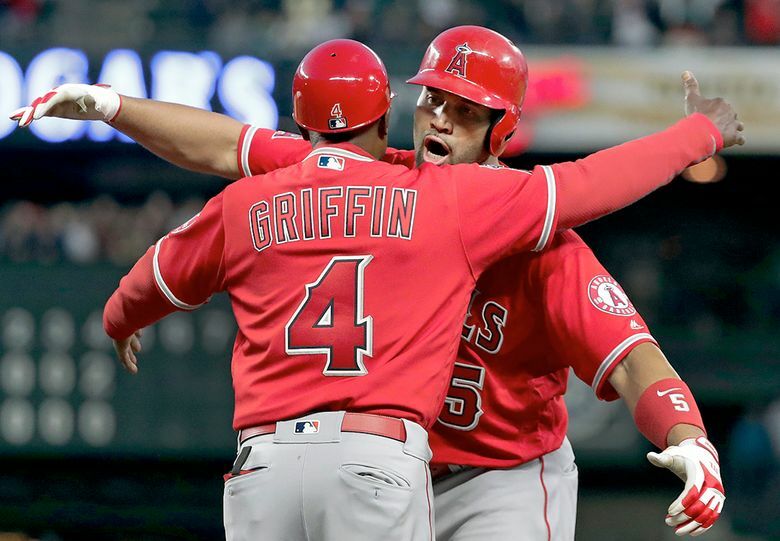 They saw baseball history in the fifth inning when Albert Pujols laced a line drive into right field off Mariners starter Mike Leake for the 3,000th hit of his career. Coming into this weekend with 2,999 hits, it was a given Pujols would reach that important number some time during the three-game series. It was only a matter of when. Pujols became the 32nd player to reach that milestone in his career. He is the fourth player to have more than 3,000 hits and 600 homers, joining Hank Aaron, Willie Mays and Alex Rodriguez. He received a reception worthy of such an achievement. He removed his helmet and waved to the crowd to thank the crowd’s ovation. Pujols also notched his 3,001st hit in the ninth inning, putting the game away with a two-run single off reliever Casey Lawrence. Meanwhile, the Mariners (18-13) were held scoreless for the second time this season. 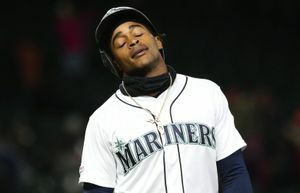 Obviously it’s only one loss with many more games to play against the Angels, but if Seattle truly believes it’s a playoff-caliber team and not just another poser, then playing well against this particular rival is a priority with how the landscape of the American League has already developed. Seattle finds itself in the ranks of hopefuls and not the tankers. But in a division with the Astros (21-13) and Angels (20-12) and the powerhouse nature of the Red Sox (23-9) and Yankees (22-10), it seems unlikely an 85-win team will sneak into the second wild-card spot. New faces who will have an impact have arrived into this rivalry, most notably Shohei Ohtani, Zack Cozart and Ian Kinsler for the Angels and Dee Gordon and Juan Nicasio for the Mariners. But so much from the past two seasons where the Angels hold a 20-18 record in the head-to-head matchup still remains constant. Both teams rely on offense, have questions about their starting pitching depth and try to offset it with bullpen usage. While the players hold no such tension, the lingering, unspoken mutual dislike between Angels manager Mike Scioscia and the duo of Mariners general manager Jerry Dipoto and manager Scott Servais, who were once all co-workers, can be felt. And in the latest meeting, there were a few other reminders that a new season hasn’t changed the fundamentals that usually decide outcomes. Mike Trout is still the best player in baseball. Pujols is still a pain for the Mariners despite his battle with Father Time and Garrett Richards, if he can harness his nasty stuff, will give the Mariners offense, or really any offense, problems. Richards got the start Friday night and was dominant, using his high 90s fastball and biting slider to carve up the Seattle’s offense with impunity. He worked 62/3 shutout innings, allowing just four hits with a walk and eight strikeouts. And the Mariners were happy to hack at it without recourse. “He was effectively wild with very electric stuff,” said Ryon Healy. Servais wasn’t pleased with the approach. Leake, who is nothing like Richards as a pitcher in terms of stuff, couldn’t match that production. He gave up two runs in the fourth with a leadoff walk to Pujols and a bad throwing error by Gordon aiding those runs. The Mariners couldn’t quite get an inning-ending double play in the fifth, allowing Pujols to come to the plate with two outs. He got his milestone single and Ohtani, who had been booed loudly in every trip to the plate, followed with an RBI double to make it 3-0. Leake exited in the sixth inning after issuing a one-out walk to Kole Calhoun. He was replaced by Erik Goeddel, the right-handed reliever who took Ichiro’s spot on the roster. In his Mariners debut, Goeddel struck out the next two batters he faced to end the inning. Leake was credited with 51/3 innings pitched, three runs allowed on seven hits with four walks and four strikeouts. He was solid the first time through the Angels’ lineup, but struggled the second time through.